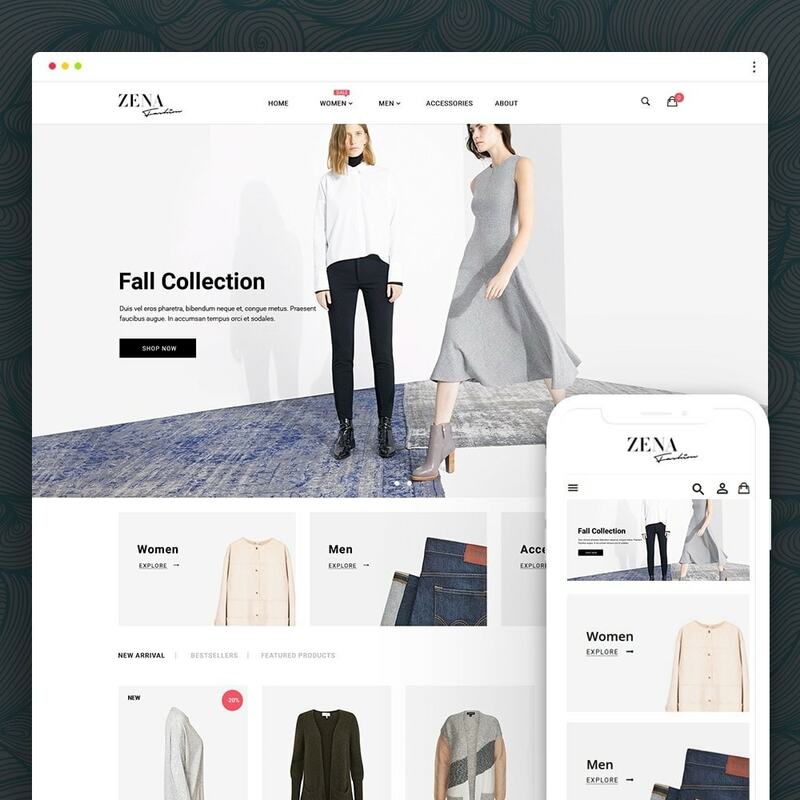 Zena Fashion Prestashop theme was developed for selling fashion brand clothes, shoes and accessories. 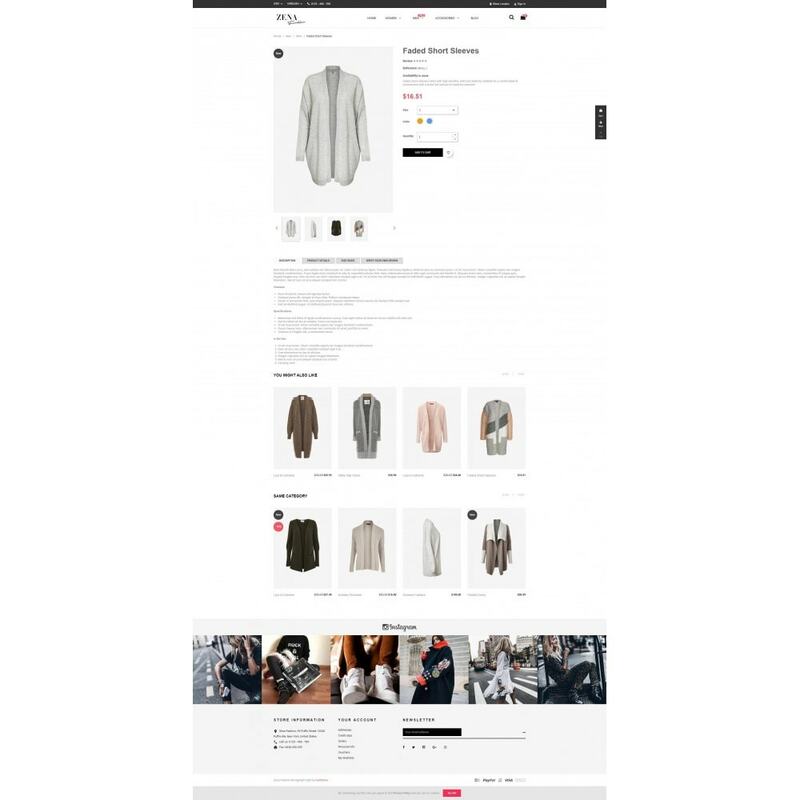 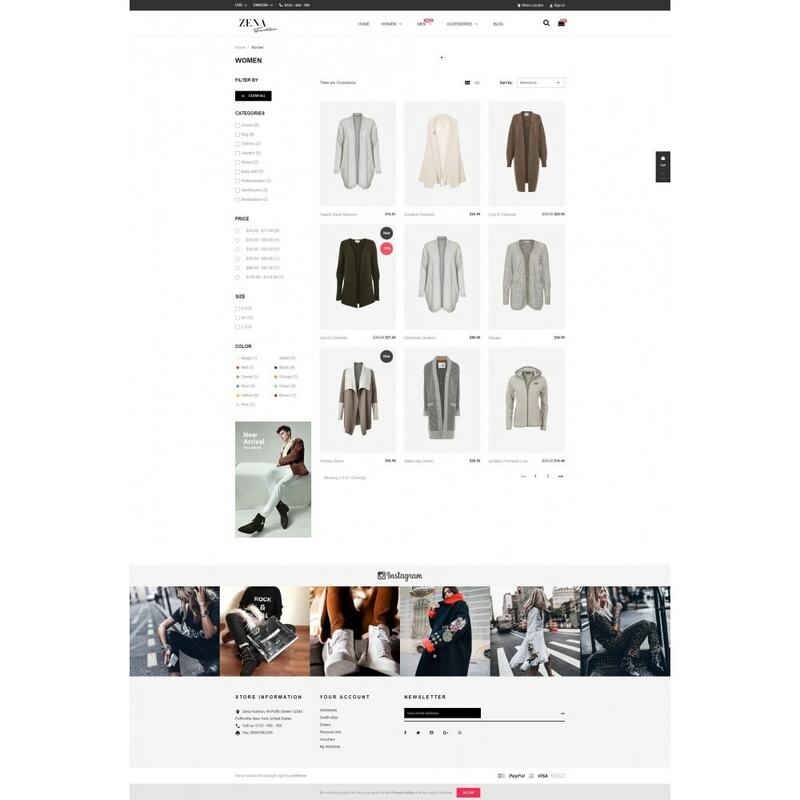 It has a minimalist layout, which lets the visitors focus on the clothing being offered. 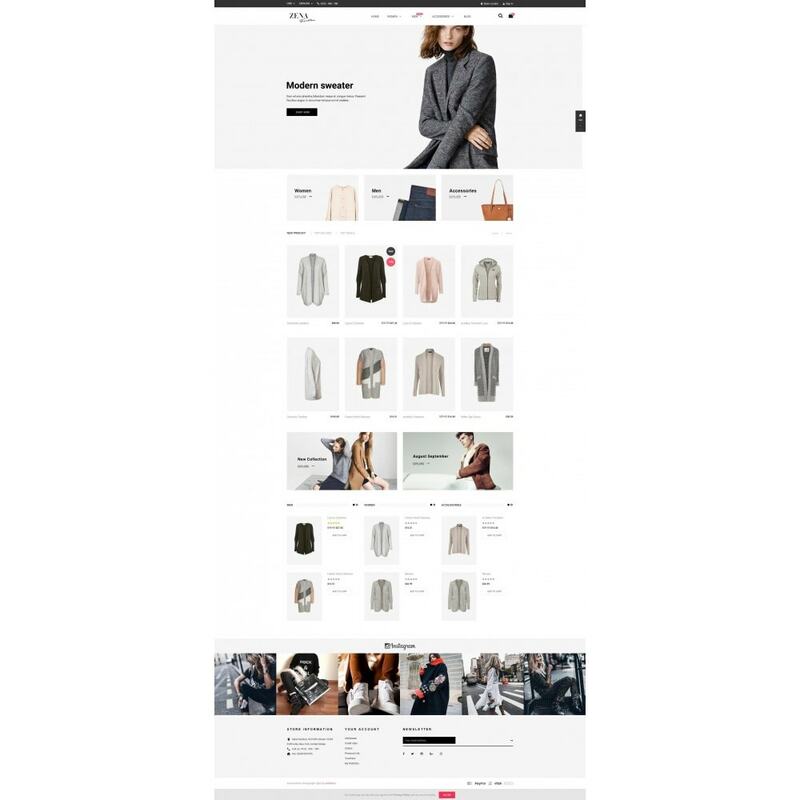 O Tema responsivo da loja de moda Stylee é projetado para moda, vestuários, roupas, homens, mulheres, ternos, sacos, relógio, jóias, moda praia, vinho, loja de lingerie, loja de bolsa inteligente, loja de moda, acessórios de moda.